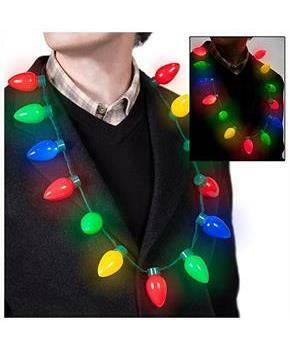 Includes light up Christmas bulb necklace. These bright glowing bulbs will make you the hit of the party. 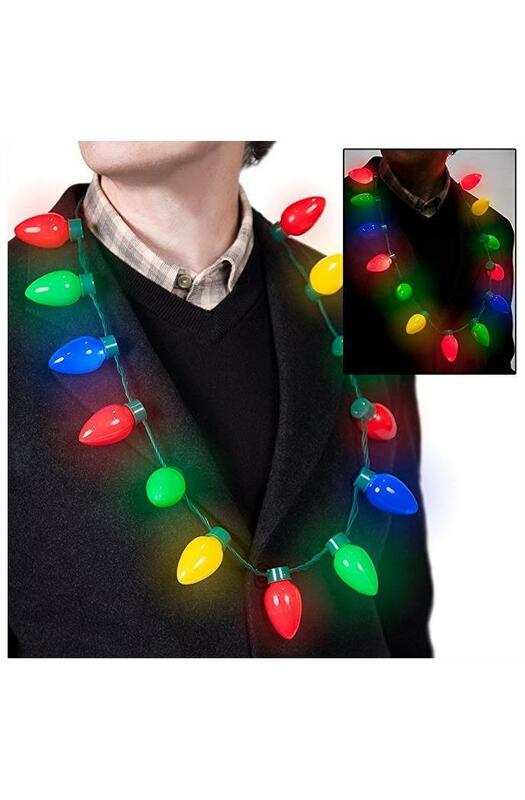 You will look like you're wearing the large C9 retro Christmas lights around your neck however they are indeed just reproductions in plastic! These are very fun for ugly sweater parties, Chrismtas family parties, charity events, and more.